Pau Gasol, Silver Medalist at the 2012 Olympics, the two-time NBA champion and UNICEF Spain Ambassador since 2003, is in Chad visiting communities affected by the nutritional crisis in the Sahel. In Chad alone, more than 127,000 children are at serious risk of malnutrition, trying to survive in the midst of a crisis caused by factors such as prolonged drought, rising food prices and extreme poverty, affecting 18 million people across the Sahel. Pau Gasol is seeing first-hand the impact of this crisis on children and how the work of UNICEF and its partners is contributing to save their lives. Since the start of the year, more than 250,000 children with severe acute malnutrition have been treated in the Sahel. “UNICEF started warning last year that this situation could happen and began to work on prevention and treatment” said Gasol. “But not all children in need across the Sahel have been reached. I’m in Chad to remind people that one million children are at risk in the Sahel because of the nutritional crisis and that it is possible to end malnutrition,” he added. While in Chad, he will visit UNICEF-supported feeding and medical nutritional centers distributed throughout the region, where children are treated for malnutrition and dedicated staff work to ensure they recover. The UNICEF Ambassador will also see UNICEF efforts to prevent new cases of child malnutrition in a year with drought having destroyed more than 80% of crops and rising food prices having forced families to ration food stores. 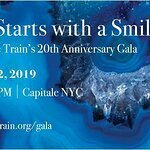 Pau Gasol will visit UNICEF supported schools where volunteers and staff teach children about essential health practices, including hand washing, that are necessary to stop the spread of deadly diseases such as diarrhea or pneumonia. Follow Pau’s field experience: @paugasol or www.facebook.com/paugasol. 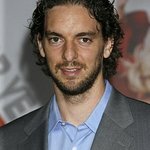 Pau Gasol has remained committed to helping children around the world since he was appointed UNICEF Spain Ambassador in 2003. After years of participating in awareness campaigns and fundraising, in 2010 he launched Pau’s Project, which began in Ethiopia and has been reflected in a documentary produced by laSexta. 12,000 children living in remote areas were able to return to school thanks to the construction or distribution of supplies to 80 alternative classrooms located in 32 different areas. Training 160 teachers working at early childhood centers about creating learning materials and methods, and support and care of children. Renovation of 11 early education centers and construction and equipping of 21 centers. Apart from its direct link to the project in Ethiopia, Pau’s Project has promoted campaigns and initiatives for child survival and development, particularly in support of UNICEF nutrition and health programs for preventing malnutrition in addition to humanitarian crises such as the Horn of Africa and the Sahel. Pau Gasol supports UNICEF initiatives in Spain and the United States, where he lives.